Do you offer any sort of money-back guarantee? While I can’t speak for other kitchen remodeling contractors in the Lake Norman area, I can proudly say that our company has a great online reputation. You can check out our Google Reviews here. 2. Laminate counters, granite countertops, or something else? This is a very popular question among homeowners who are looking for kitchen remodeling services. A lot of people believe that laminate is out and granite is in, and that may be the case when you look at what’s actually trending. But as someone who has worked with both materials, I strongly advocate for laminate if you are on a budget. Today’s laminate countertops allow for many customizations, including colors, textures, and finishes, that may not have been available previously. Also, if you’re worried about the ugly edge, we can now refine the edges and corners to make them round, so they look even more like granite! Like granite, laminate is well able to resist damage from heat. It’s a very durable material and will stand the test of time if you do not have the budget for the more expensive granite. You can still add a luxe look and feel to your home with laminate countertops! However, we do also install granite countertops in Charlotte and Huntersville, so if you’re set on granite, we are happy to serve you. ​3. Cabinet trends. Whether you’re looking for a modern, industrial look, a shabby-chic vintage feel, or a more traditional, contemporary aesthetic that will stand the test of time, we can help you decide which trends in custom cabinetry will be most suitable for your needs. There are many things to consider, including the color, finish, texture, and hardware that will look best with your kitchen decor and the style of your home. 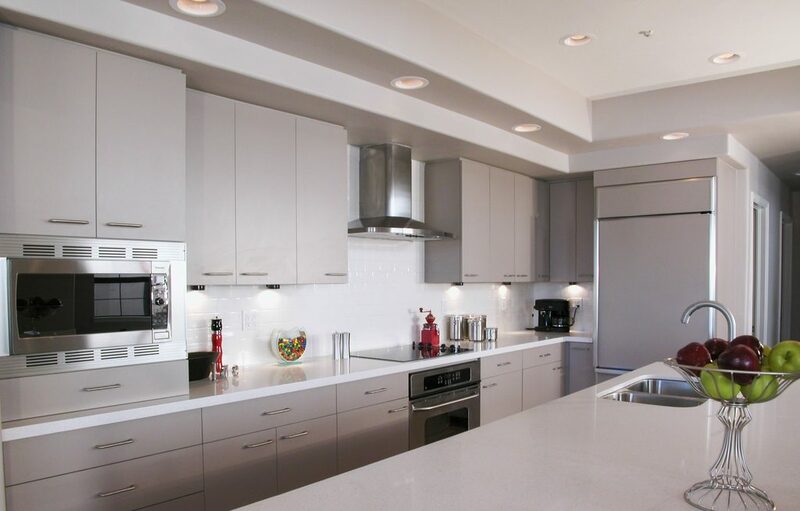 Our Charlotte kitchen remodel design experts have years of expertise and will provide you with a no-cost, no-obligation consultation to help you find the right solution. To take advantage of our FREE consultation, give us a call at (704) 274-2994 today!